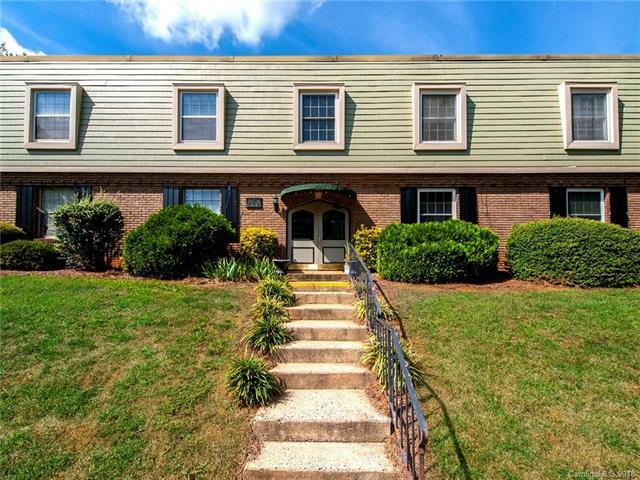 Fantastic Dilworth location only minutes away from Uptown, Southend, Light Rail and Park Road Shopping Center. Excellent access to restaurants, bars, grocery stores and shops just right out your front door. This is truly a lifestyle location! This 2 bedroom, 1.5 bath second floor unit features an updated kitchen with granite counters, tile backsplash and stainless steel appliances. Both bathrooms have been updated with new fixtures, vanities and tile. Beautiful laminate wood floors throughout. Freshly painted interior. French doors off the breakfast area lead to a covered back porch overlooking the lovely manicured courtyard. Move in ready!